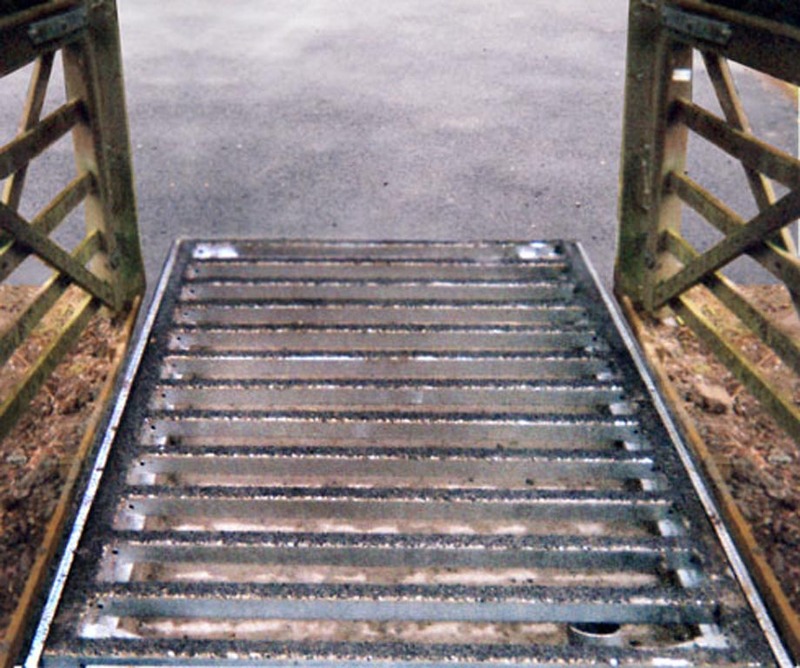 As the Cattle Grid supplier with the widest range of models we felt obliged to deal with this issue. Our units use as many of the recommendations of BS 4008:2006 as practical in our design. The units are designed to carry a Live Load of 5Kn/sq m to comply with DoT Pedestrian and Cyclist specification. The units are fabricated from Mild Steel and are hot dip galvanised for maximum life. 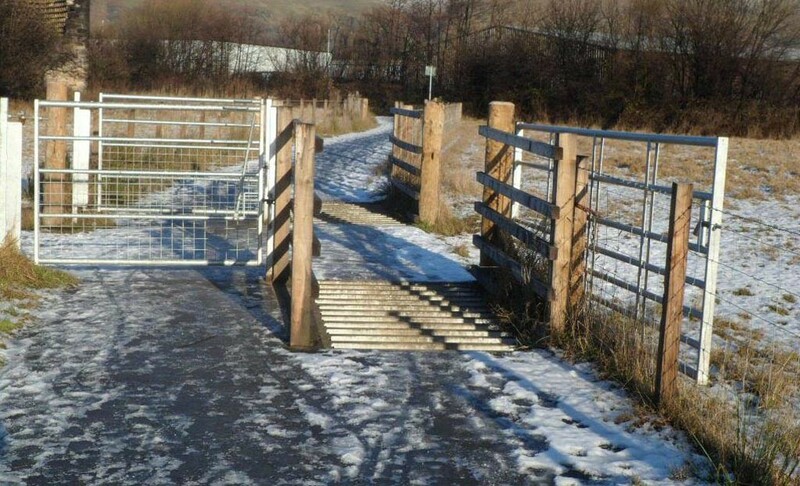 An Anti slip coating can be applied to the bars to improve traction. 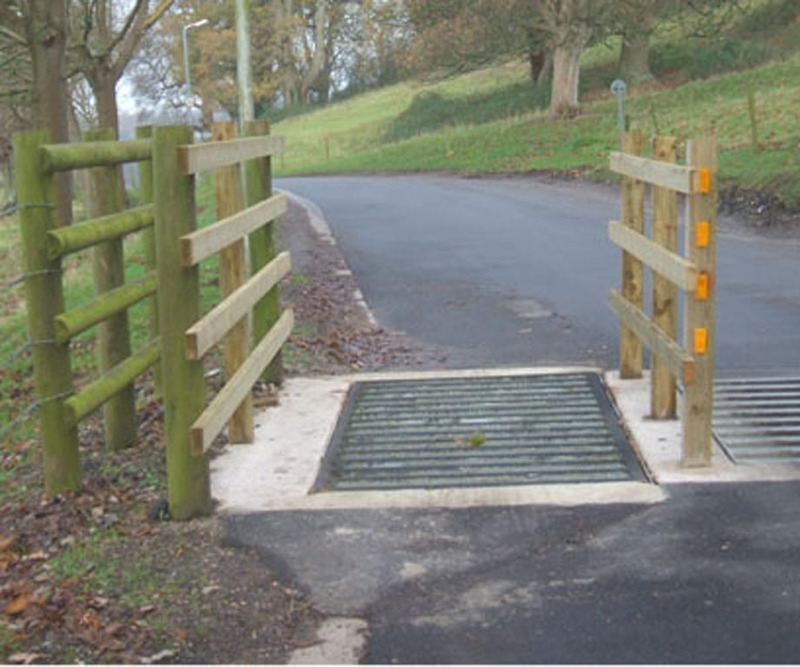 Cattle Grid on roads usually have a galvanised finish and no measures are taken to provide additional traction. 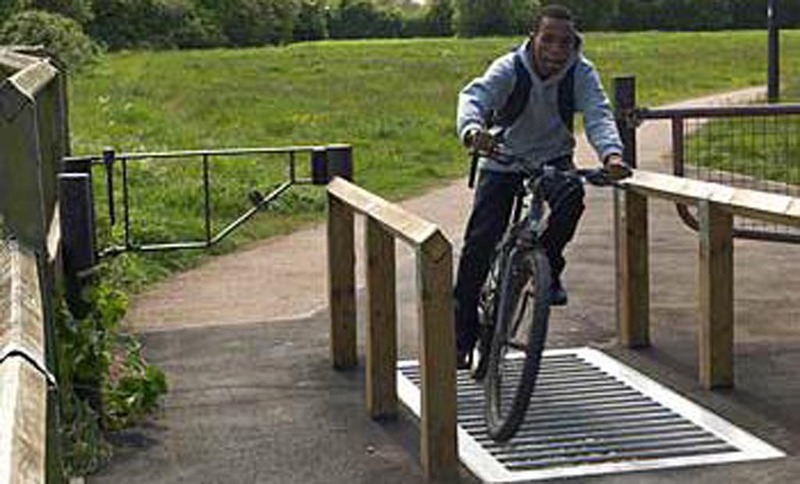 Cyclists and pedestrians have used Cattle Grids without anti slip treatments as the norm as long as there have been Cattle Grids. 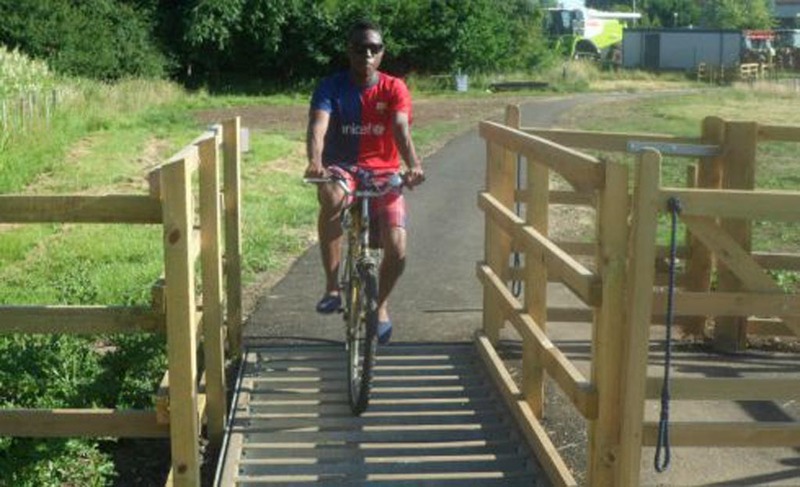 Cyclists tend not to enjoy sharing a cattle grid with high volumes of fast moving traffic. 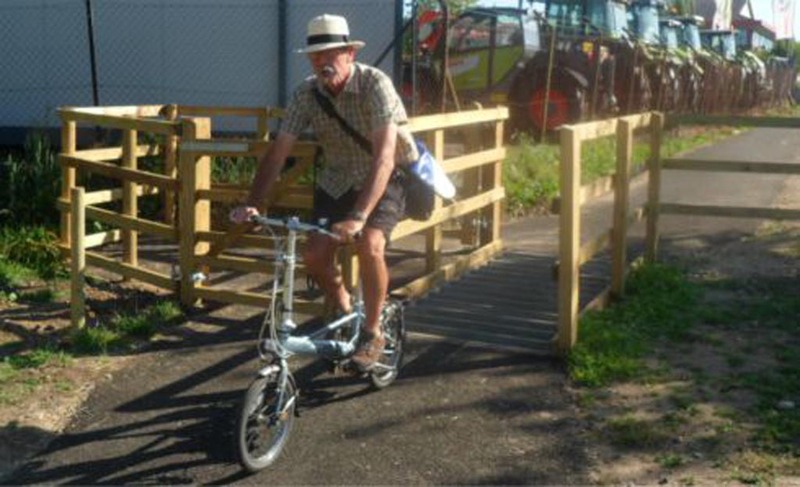 The Ongie creates the opportunity to segregate cyclists from vehicles when passing over a cattle grid. Project Designers will need to take account of the probable life of any anti slip coating (proportional to use) and the problems of replacing the coating in the future with the unit installed – when deciding whether to specify it. An alternative and simpler to install, is our Pitless Ongie. In this case we also supply a steel sub structure, supporting the grid, which is either placed on a bed of compacted fill or is fixed down to a level concrete slab. We recommend to void round the unit is filled with concrete to improve retention and prevent movement. The sub structure is firmly held but the grid can still be removed to clean out the pit. Alternative hold down arrangements can be provided when clients wish the grid to be fixed to the base. This is becoming our standard hold down treatment and will be provided unless otherwise stated. Holes are drilled into the concrete base and studs are placed and retained by resin anchors. The studs pass through the holes in the plates, washers and nuts are fitted and the studs are then trimmed to the exact length so they do not protrude beyond the nut. The grids are securely fixed to the frame to minimise noise and permit removal for cleaning. Drainage is recommended to prevent standing water. Consideration should always be given to how stock can bypass any proposed cattle grid when being moved by the farmer. 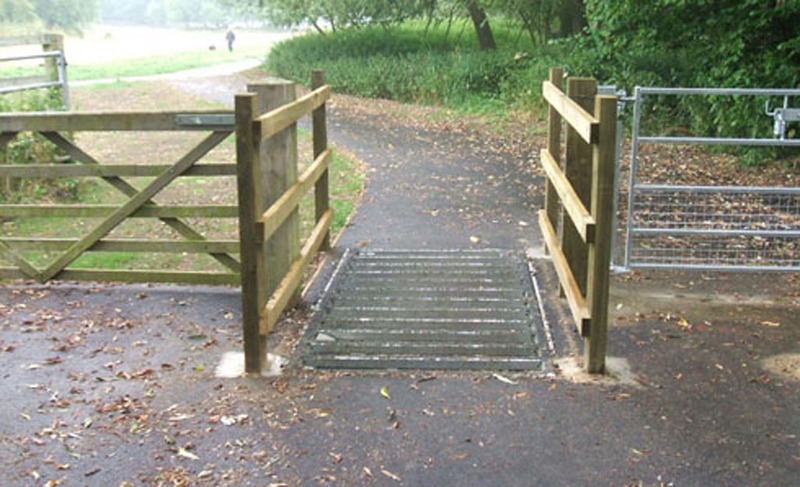 The usual arrangement is to provide an agricultural gate next to the unit and Cattle Grids for vehicle use are usually set level. On cycleways with modest gradients the grid can be set to the same slope as the path, When locating units on a slope the drainage issues become a potentially greater problem. Water born soil and other debris can collect in pits more quickly. The siting of drain inlets in the pit bases need to take account of the fall for them to work correctly.